Nice one! The colors work well together. 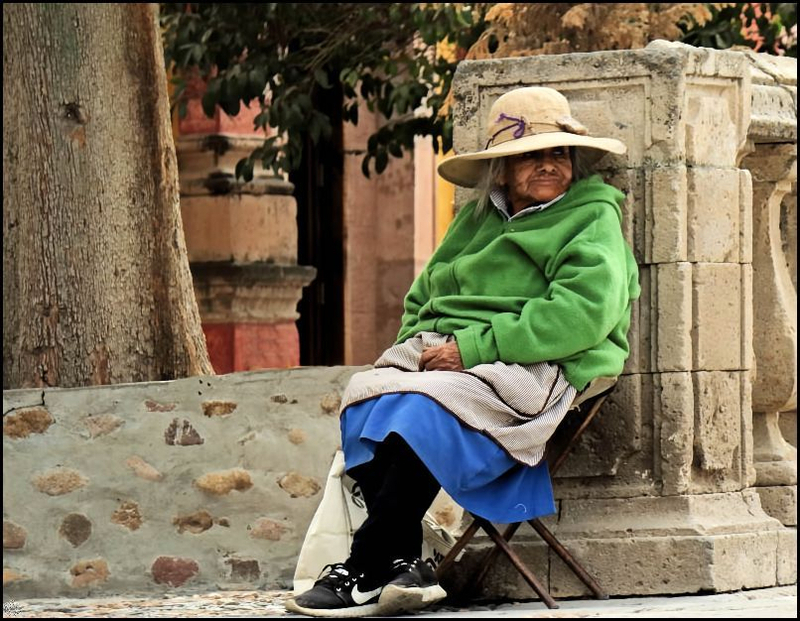 This vieja is a supplicant and sits in front of the church. Atotonilco is a religious pilgrimage site.